The big day is a week from today. Here are a few ideas I came up with for a wedding manicure. 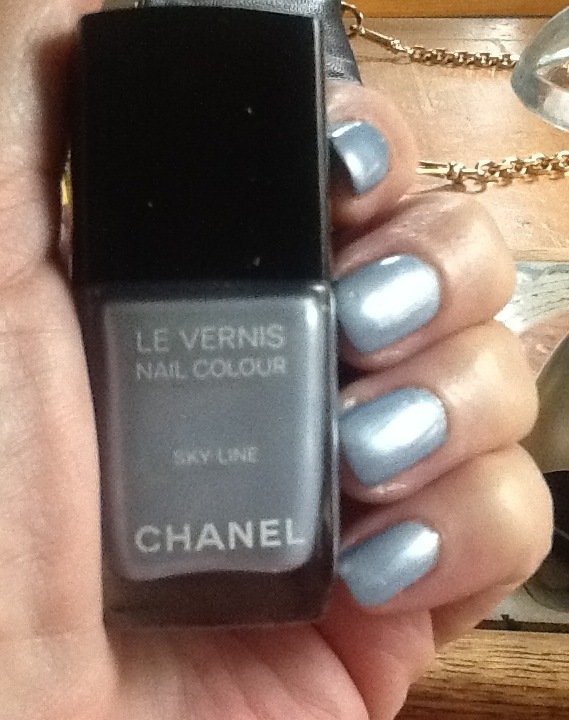 Snow Bunny from Revlon is a CHANEL dupe for “Attractiom”. It is a pretty white frosted snow flake shiny polish. It’s one of this polishes you either hate it or love it. I happen to love it. 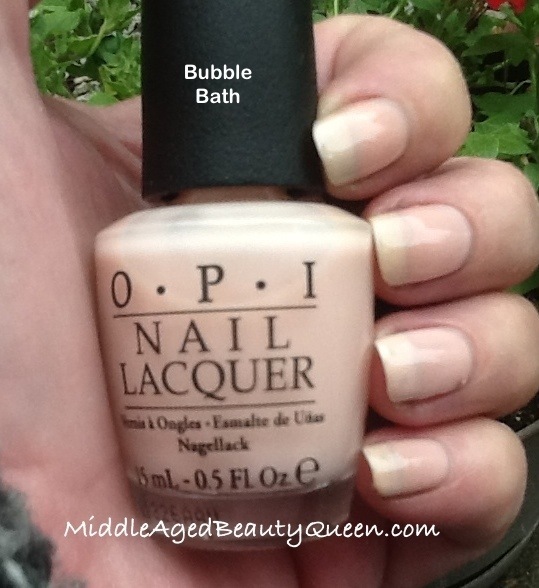 Bubble Bath from OPI this is 3 coats. All the other pics in this post are 2 coats, no top coats. 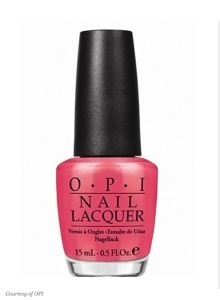 I think for a pink nail polish this leans more on the beige side of pink. 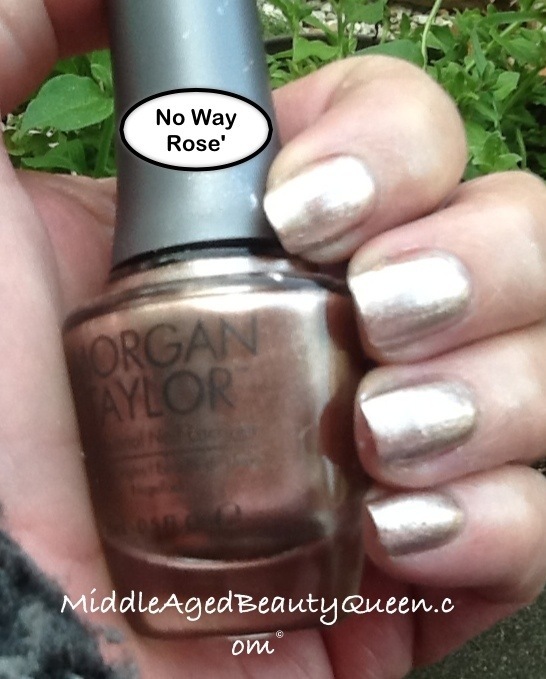 No Way Rose’ from Morgan Taylor is a gorgeous rosé gold without being in your face gold. I did a blog post here when I first discovered the Morgan Taylor brand. I think it’s a beautiful color and I think it’s funny that this is the same color Jilly and Ashley picked for the bridesmaids to wear. 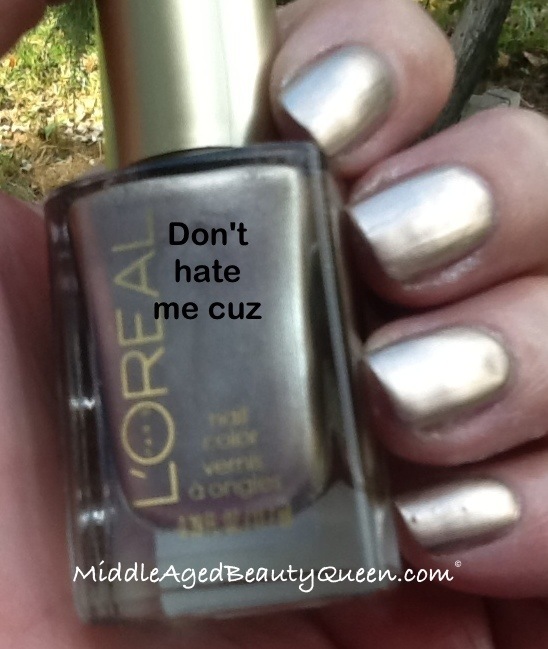 Don’t Hate Me Cuz from L’Oreal is my favorite gold nail polish. It goes on great, very few stroke marks show and it wears like iron. Okay that last one I just through in there, we all know I don’t wear a polish long enough to know if it wears like iron. But I think this one would. I Will! 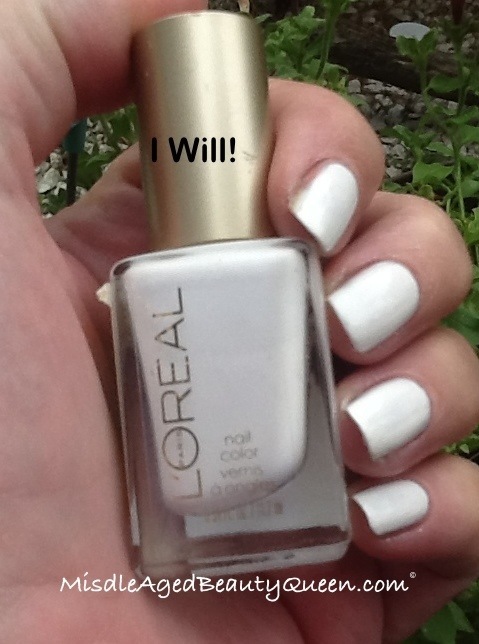 From L’Oreal is the prettiest cream color and I think it would look gorgeous for any bride. When Jilly came to town to announce her engagement this is the polish she had on, so maybe she might want a new one to actually get married in. Like an accent of No Way Rose’. Brings the bridesmaids in with hers, different yet not. I like an all pink nail, Elizabeth Street from Nails Inc fits the bill. 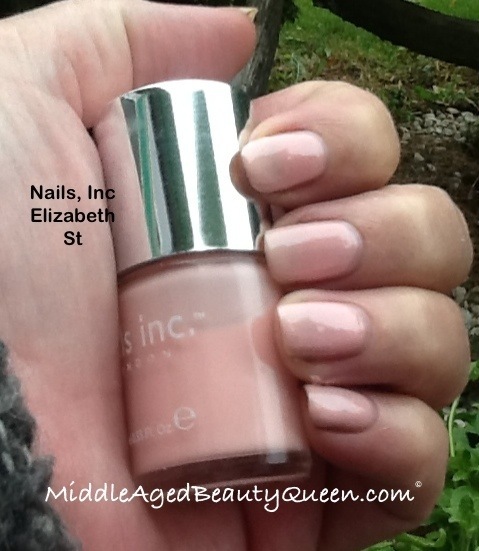 Full coverage with 2 coats, no top coat needed and its the perfect color pink for a wedding. It’s also very pretty with an accent finger of the rosé gold. And for the bride that would make Karl Lagerfeld happy, along with her Mother either the top picture of Skyline from CHANEL or the bottom picture of Dragon from CHANEL. The first one Skyline is a very rare light blue with a shimmer, even though it is rare I would happily share with my daughter. Dragon is for the bride that thinks outside the box and wants to wear what she wants to wear, whether its a dress, shoes or nail polish. I know my daughter to be all of these women wrapped into one glorious woman. 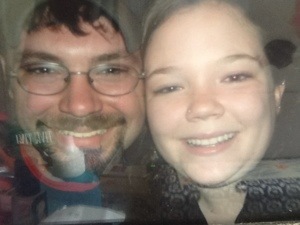 From the day she was born I prayed for her husband as well as for her and her brother. 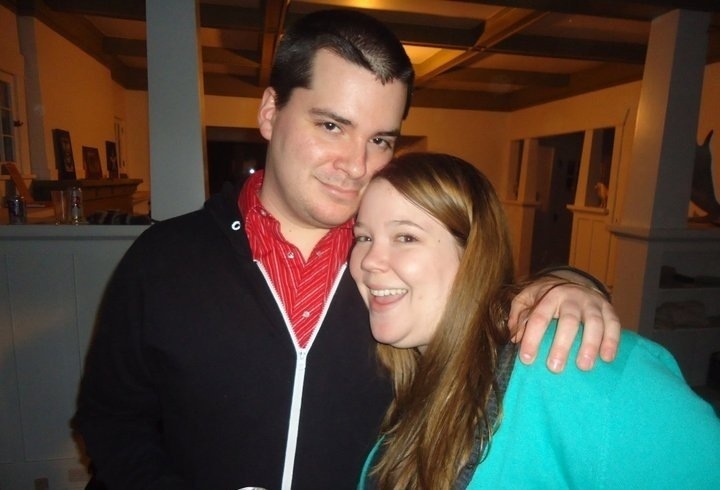 I could not have picked a more perfect man for her to marry. I am so happy for them both, I know they have a life time of happiness ahead of them. 🙏 As always, thanks for stopping by! I Need Your Help ~ What Is This Color? 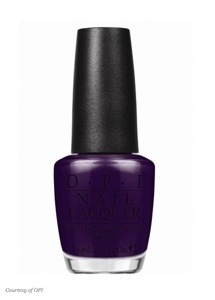 Do you know this color from OPI? 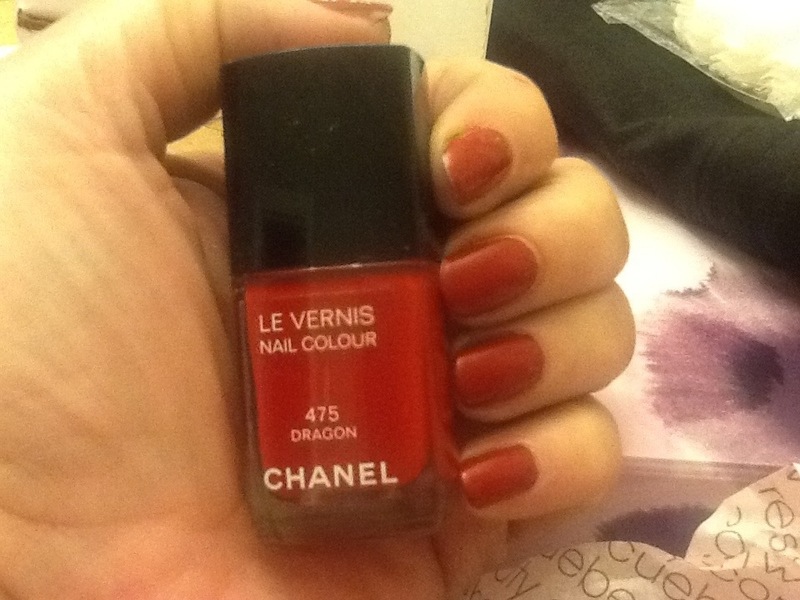 It’s a very pretty red, not a dark red, and it has the tiniest bit of shimmer in the bottle. Sometimes it shows on the nail. I bought this at a yard sale for 50 cents. I’ve worn this often because I think it looks nice with my skin, I always get a ton of compliments when I wear this, so it must be a blue based red. Any thoughts on what color you might think it is will be greatly appreciated! OPI~Eiffell For This Color (discontinued) was the number picked from random.org this week for the Nail Polish Lottery Club. 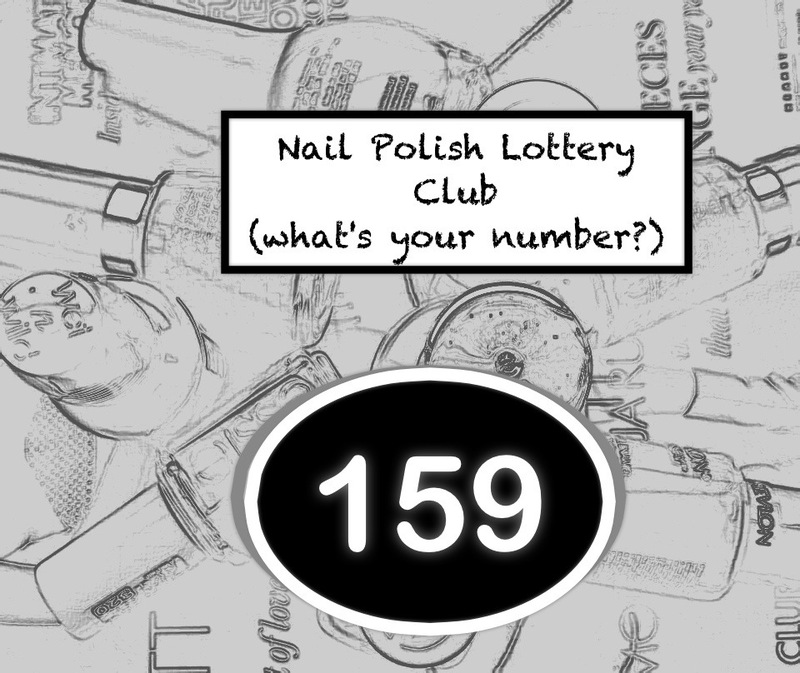 Those of you that do not know about the club can find all the details on our Facebook page Nail Polish Lottery Club. I bought this polish after I learned it was on the list to be discontinued by OPI. Why, I bought it, I really don’t know, it’s not like I don’t have a ton of dark purple/blue/brown/black polish in all different brands. But after wearing it, I completely get why OPI has it on the to be discontinued list. Yes, it was that bad. This was all in less than 24 hours. These were not necessarily 24 hours of me doing housework or cleaning empty rental apartments, it was a normal 24 hours of me doing my thing, which is a lot of nothing. 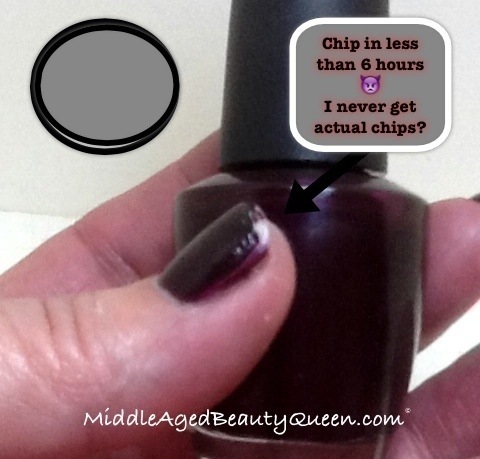 I used a base coat of Nail Envy, that I slept in, then in the morning I did use a base coat from Nfu-Oh, applied this polish in 2 coats, I did have to do a bit of clean up, not much, and then topped with my favorite quick dry Seche-Vite. Nothing out of the ordinary except for the way this polish looked. That’s why I removed it, and now it is removed from my list of un-tried polishes. It is a pretty color, just a crappy polish. 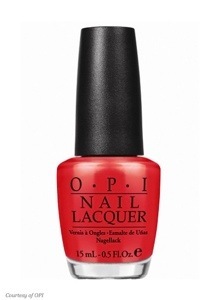 The formula was typical OPI, the brush the typical OPI brush. It applied evenly and smoothly, there was a bit of pooling in the cuticles but I caught that right away with my angled brush I always have on hand when painting my nails, along with a capful of acetone to use for the clean up. I can only give this polish 2/5 stars 🌟🌟. 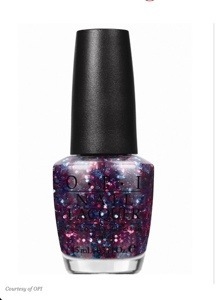 The stars are for formula and application, everything else about this polish was crappy with a capital CRAPPY. I’m cheating, just a bit this week for the #NPLClub. The number I drew through random.org was 76. 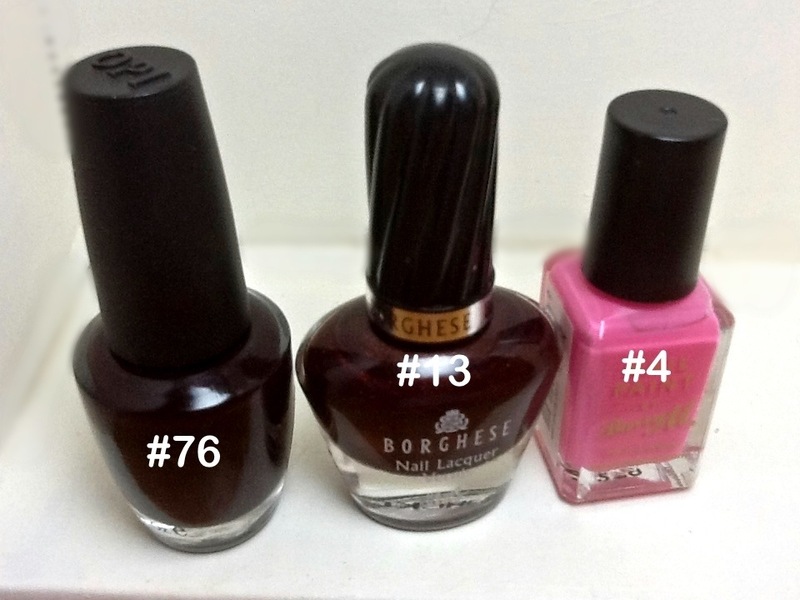 Of course I have 76 on my list but if you don’t you could use #13 and if you don’t have 13 un-tried polishes you could use #4. These were my choices using the alternate numbers. I wore the Barry M today, it did not fare well, but not the Barry M nail polish’s fault. I’ve been cleaning a rental apartment that was left the most filthy I’ve have seen in a while, which of course ruined the Barry M #279 Bright Pink. But I can take that off my list of un-tried now as well! Yay! You will all have to wait until tomorrow to see what I did to “cheat” just a little bit this week. Week 17 already! Wow! I hope everyone is having as much fun as I am, I have really enjoyed getting to know everyone and it is so much fun, for me, to see all your colors. I think it’s such a great idea Diana came up with. 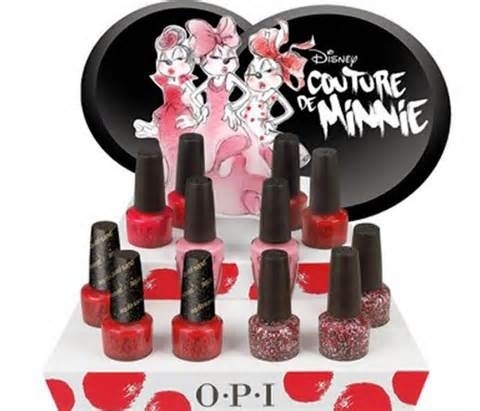 OPI & Minnie Have a Second Date ~ this Time She’s a Couture Mouse! The colors are from left to right: A Definite Moust Have, Innie Minnie Mighty Bow, Magazine Cover Mouse, Minnie Style and Chic from Ears to Tail. I didn’t get any from the last collection but I’m liking the looks of Minnie Style and Chic from Ears to Tail, I can’t stay away from a good pink! Did you get any from the last collection? 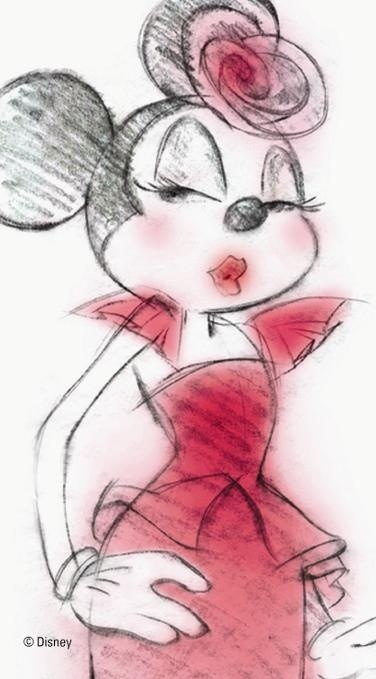 What do you think of our Miss Minnie all dolled up? 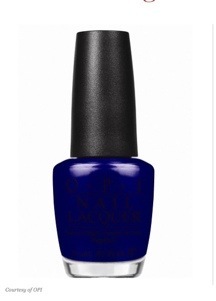 Yes, my number has gone up even though the premise of the Nail Polish Lottery Club is to use our un-tried polish! I have received some PR samples this week and I have done a bit of purchasing myself, Barry M anyone? For more information about #NPLClub please check out or Facebook page. You can find it here. We would love to have you! My Private Jet by OPI . I have had this for a long time and really I don’t know why I bought it? 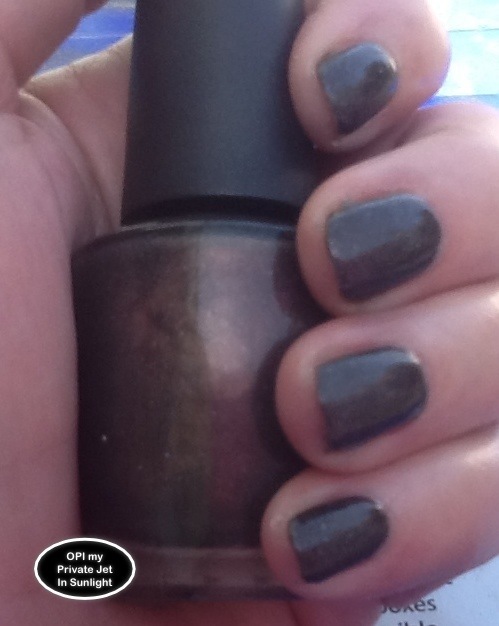 It is a chocolate brown with an obvious copper shimmer with some blue and white micro glitters. Just looking at it on the nails it is very much reminiscent of You Don’t Know Jacques or any other brown polish. This is outside in full sunlight. Again, not very exciting. The formula was typical OPI formula, which is one reason I like OPI, I like consistency in formulas, it was very smooth easy to apply. As this is supposed to be a holographic I did let it dry completely between 2 coats. All photos are 2 coats with a top coat of Seche-Vite. In the lightbox photo you can see a bit of the micro glitter. It is a pretty polish when the sun hits it just right but of course I could not capture that. I did Google this polish to try to find out what collection it was from but was un-able to find out any information on this other than it is supposed to be a HTF (Hard to Find) polish. I did not check eBay or Amazon but I’m sure it is probably available there. It is not available any more through the distributor I work with. 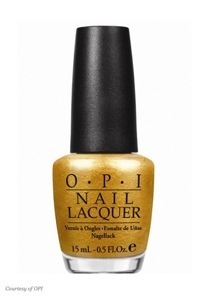 I’m not sure if it is still part of OPI’s core collection or if it has been discontinued. Sorry, I’m not much help. I am not crazy about this polish, this will not be in my regular rotation of polishes I wear; so if any of you have been wanting this particular polish just let me know in the comments. I’m sure we can work something out. On a personal note, I wanted to show this picture of my little town at night. My town is on the left of the river, across the river is Washington State. I like my little town, especially today, it has been one of those perfect spring days. The windows are open, I can hear my neighbors talking, kids playing, Betty is asleep at my feet snoring, it’s good to be alive today! I hope you are having a great day! Time to get some much needed house work done! This collection has a February release date. When I was at the nail polish store today, they were just un-boxing these, so I think you will be able to find where ever OPI is sold. 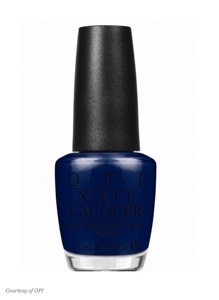 These are 12 new colors from OPI, but if you ask me, and you did, right? Anyway, IMO these are all very familiar colors. This collection is reminiscent of the Holland collection as well as the Germany collection. That being said there are 2 colors I will definitely pick up from this collection. Any guesses as to which 2? This is my series called “50 Shades of Sunday”. The idea behind this is every Sunday I wear a polish from my collection that I’ve never worn before. I want to wear my polish, I do not want to ‘collect’ or ‘hoard’ nail polish. 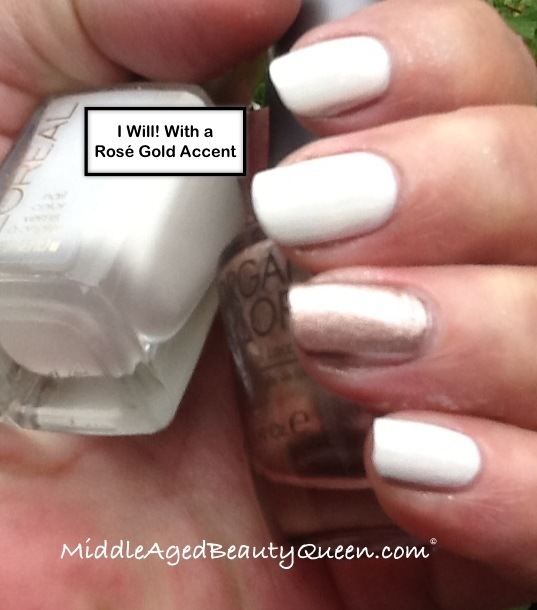 I hope this inspires you to wear a polish from your own collection that you may have missed. This is Number One Nemesis from OPI’s Spiderman Collection. This collection was released early in the summer, May or June. I bought this one then, along with Just Spotted the Lizard. I have not worn this one, it has been hiding behind the more popular kids in my collection. 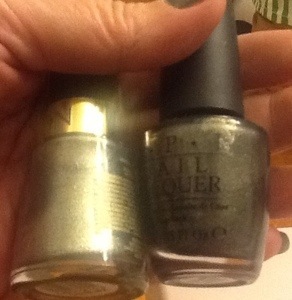 I really like this color, it is a medium gray with gold and green micro shimmer, which gives it so much sparkle. There really isn’t any glitter in the polish but the sparkle would suggest maybe there was. It has kind of a green cast to it in some lights. And if the light hits just right, there is a ton of sparkle. I like sparkle. 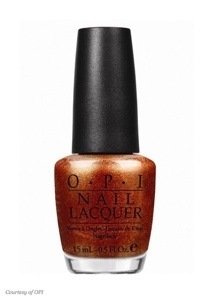 This has a different formula from most OPI polish in that it likes to ‘travel’ on the nail. You know when you paint your nail and all looks good but then there is a bald spot in the middle and all the polish has pooled to the side? Yea, that’s what this did. I don’t like that! When that happens my first instinct is to add more polish, which of course only exacerbates the situation. So, I learned the hard way, thin coat for the first coat and a normal coat for the second. I have not encountered an OPI polish with this kind of formula before so I was surprised by that. 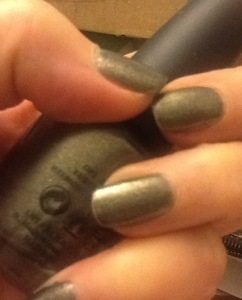 But beside all that I like this polish and plan on wearing for a couple of days. Number One Nemesis is very much like Revlon Carbonite. Not an exact match, but very close. Carbonite is a bit lighter, but it has the same effect of the sparkle factor. (Carbonite is a dupe for CHANEL Graphite) the base of Carbonite is a lighter gray and has more of a gold and silver micro glitter. Even so, they are very similar. I went on-line to check if Number One Nemesis was a re-promoted name, OPI is very good at that. Some thought it was a re-promote of OPI Brand New Skate. But they are different. 💅If you want your own bottle of Number One Nemesis or any other OPI, China Glaze or Venique nail polish you can email Me here and I will happy to send to you. The OPI is $9, China Glaze and Venique are $7. Free Shipping, US only but I will ship international if you want to pay the shipping. What I do is take your package all ready to go, down to the post office, they weigh it for me and tell me how much it will be. That is the amount I charge for International orders. I don’t want to make money from the shipping. 💅As always, thanks for stopping by. 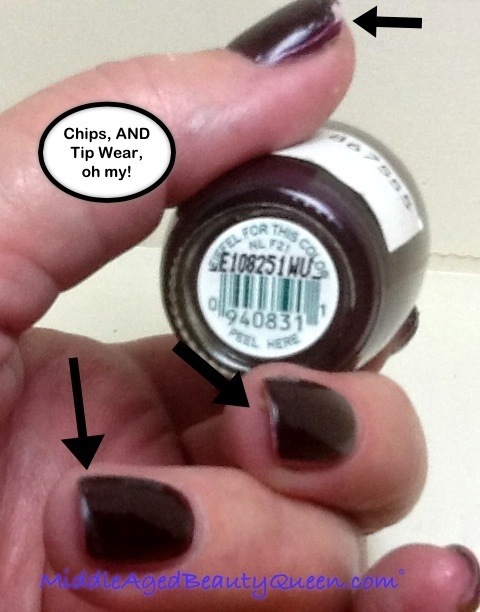 Have you found a polish in your collection that hasn’t been worn and you love it? Let me know in the comments below.